Beaver Brook (Hunterdon), Rockaway Creek, S. Br. (Hunterdon), and Trout Brook (Sussex) are no longer stocked with trout. These waterbodies have reproducing brown trout populations. Beaver Brook, which has a more robust brown trout population than the other two streams, will be regulated as a Wild Trout Stream. The uppermost section of the Raritan River S. Br., from Flanders-Drakestown Road downstream to the Bartley Wildlife Management Area, is no longer be stocked with trout. The remaining section of the river, from the dam 200 feet above Schooleys Mtn. Rd. downstream to the confluence with the N. Br., will continue to be stocked. The discontinued section is now be managed as a Wild Trout Stream. See map. The Claremont Stretch is no longer be regulated as a Year-Round Trout Conservation Area. The minimum legal size decreases from 15 to 9 inches, along with a creel increase to two per day. See map. Nine Bonus Broodstock Lakes and the breeder stocking programs provide plenty of trophy size fish within a short drive from anywhere in the state. The Bonus Broodstock Lakes generally receive 30 - 50 extra large trout. The Hook-a-Winner rewards anglers who catch one of the 1000 jaw-tagged trout stocked during the pre-season. Anglers who catch a tagged trout can claim their a certificate and patch by submitting an application form. QR Codes on trout stocking regulations signs bring up the entire spring stocking schedule with all seven weeks of stocking following Opening Day on April 6. 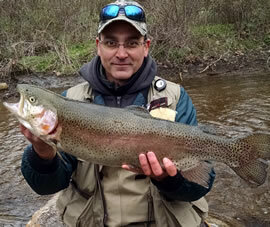 The schedule includes day of the week and the number of trout stocked. This feature can guide anglers to other fishing opportunities throughout the state right from their favorite fishing spot. Brown and Brook Trout are still available, and regulations are in place to keep it that way (see page22 in the 2019 Freshwater Fishing Digest). 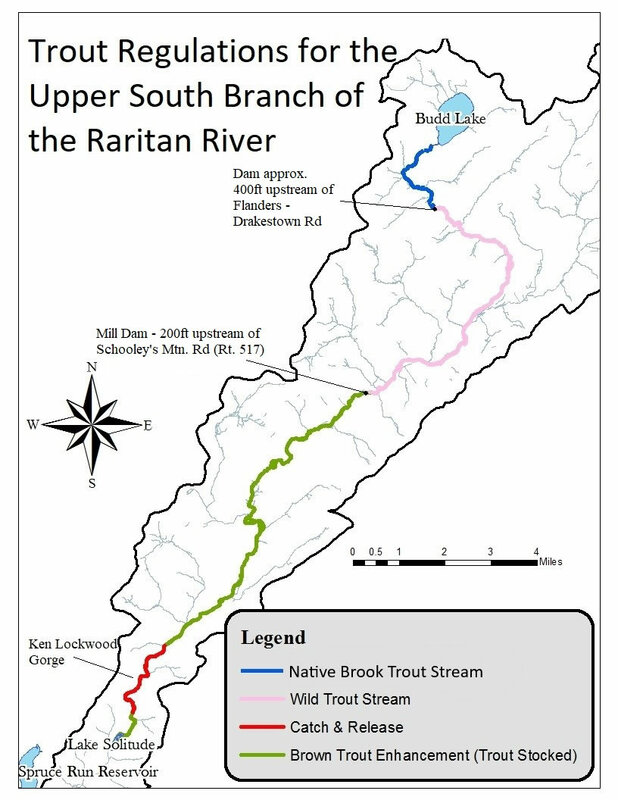 Waterbodies such as the South Branch Raritan River, Pequannock River and Big Flat Brook, (to name a few) have naturally reproducing trout in them that will surprise and delight many lucky anglers with their beautiful markings and coloration. 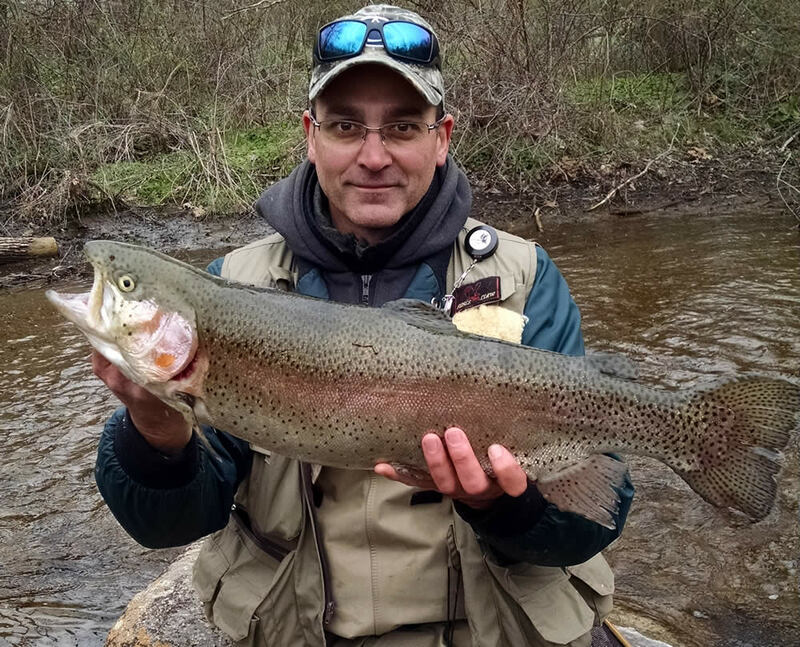 Anglers should be aware that most trout-stocked waters are closed to fishing during the 3 weeks leading up to Opening Day (March 18 - April 6, 2019 at 8 a.m.). 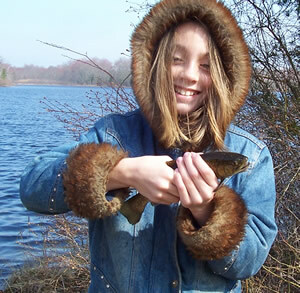 There are several waters that remain open for catch-and-release trout fishing: Lake Hopatcong (Morris/Sussex), Mountain Lake (Warren), Prospertown Lake (Ocean), Lake Shenandoah (Ocean), Swartswood Lake (Sussex), and the section of Lawrence Brook from Davidsons Mill Rd. to Farrington Lake dam are open year round to fishing. 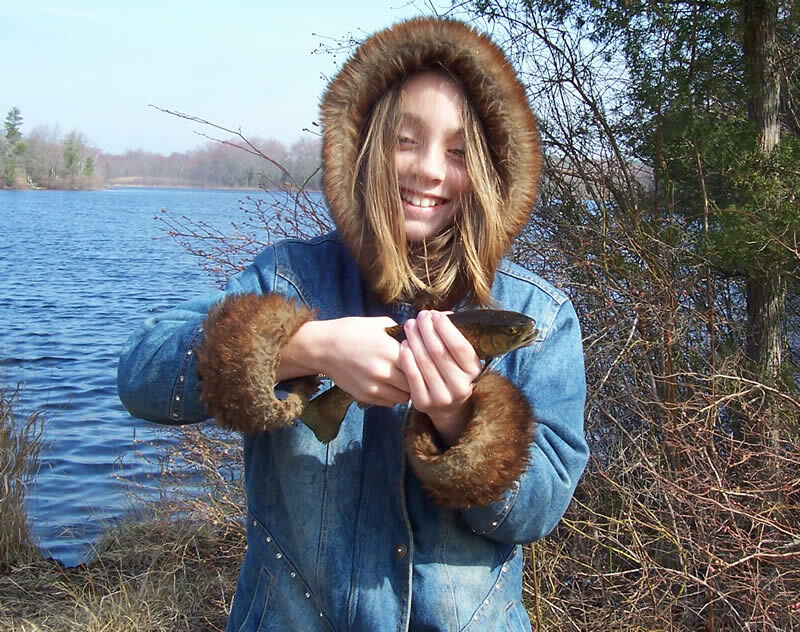 Catch and Release Only, Seasonal, and Year-Round Trout Conservation Areas and designated Holdover Trout Lakes are also open to fishing. However, trout caught in any of these waters during this period must be released immediately. Note that, fishing is not permitted on Seasonal Trout Conservation Areas from 12:01 a.m. to 8 a.m. on April 6, 2019. Trout can be harvested from the state's two Trophy Trout Lakes, Merrill Creek and Round Valley Reservoirs. Be sure to check the Freshwater Digest for regulations pertaining to these waters. Any deviations from the stocking schedule will be noted here, on the 2019 Spring Stocking Schedules page and on the Trout Hotline (609-633-6765).